At A Noble Sweep Chimney Services, we specialize in gas log fireplace installation in the Greater New Orleans area. Proper gas log fireplace installation is vital to prevent chimney fire, damage and injury. Gas logs offer the aesthetic beauty of a wood burning fire with the convenience of gas. The heat output from vented gas logs is slightly better than the heat output from a regular wood fire in the same fireplace. Because gas emissions are lower than wood emissions, gas logs are considered a more environmentally friendly option than wood burning fires. Additionally, gas log fireplace installation also eliminates the need to purchase and store wood for your fire. Gas logs are also remote control compatible, providing you with the ultimate comfort experience. 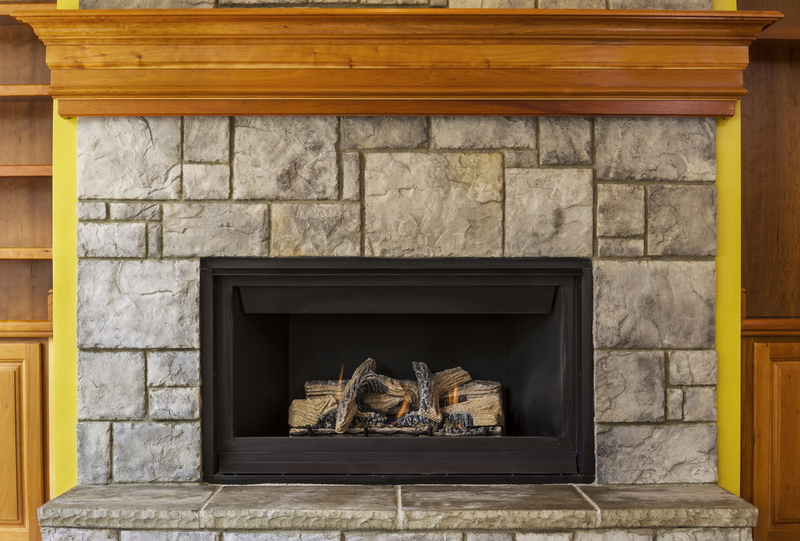 At A Noble Sweep Chimney Services, we will help you choose the right type of gas log for your fireplace. If you’re looking for gas log fireplace installation in the Greater New Orleans area, contact A Noble Sweep Chimney Services. You can feel confident that we have the knowledge and experience to resolve the toughest problems and that we understand the basic fundamentals of chimney construction and design. Our primary objective is to make your chimney cleaner, safer and more energy-efficient.